This post is brought to you with the help of Balance Bar. Thank you for feeding my soul and offering to feed my friends with a special giveaway. Thank you for your continued support. I can't be the only one that has been enjoying a few sweets here and there? I mean, the cookie baking season is upon us and I know I have been testing out a few new recipes. Just because I have indulged in a few sweet treats, doesn't mean I am going into full hibernation mode. Although, that might be easier than trying to find motivation to workout when it gets dark at 4:45 pm! 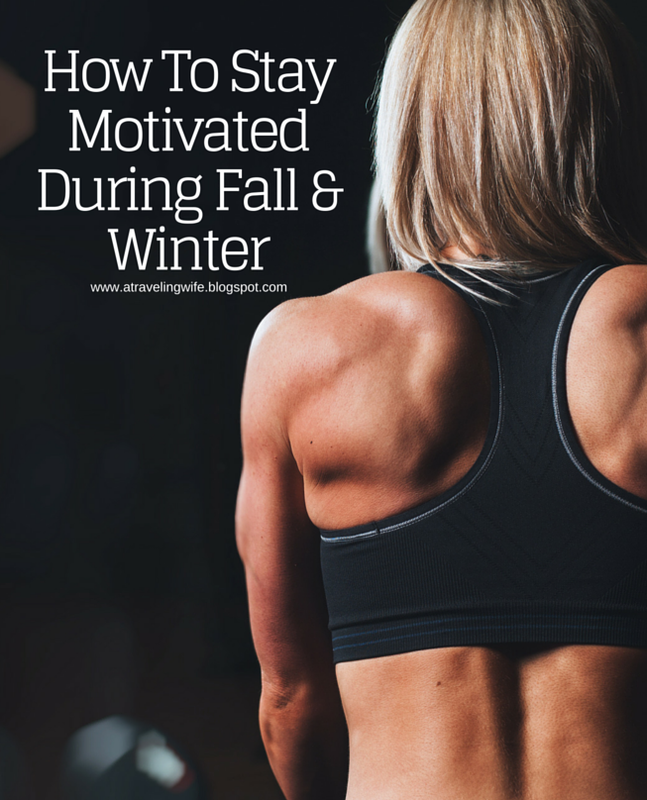 I'm going to make it just a little bit easier for you this Fall and Winter by sharing some simple tips to stay motivated during the hibernation months. Also, there is a sweet giveaway at the end - my absolute favorite indulgent bars. Change up your routine. This one probably happens without you even thinking about it. For me, I spent a lot of time running outdoors during the Spring and Summer months. Now, I don't want to get bundled up just to struggle breathing in the cold air. I've swapped my outdoor running with some CrossFit type exercises. This not only keeps my mind entertained but it also keeps my muscles guessing what move they are going to do next. Workout at home. You don't have to spend all your savings on equipment to workout at home. Save that hard earned money to buy your friends and family their well deserved holiday presents and use your own body weight to workout. You can find hundreds of online workouts that require only your body weight to pump those muscles. Fitness Blender has pages upon pages of routines that requires zero equipment. I've also been a big fan of Body Rock over the years and they have a free program that also doesn't require any equipment. Click to tweet: Tips for staying motivated during Fall & Winter. The power of positive thinking. Apparently, if you can 'trick' your brain into what is holding you back from achieving a particular goal, you are more likely to accomplish that goal. For example, you want to workout. I mean, that is mostly what this post is about so if you made it this far, you want to workout and stay motivated throughout Fall and Winter. But, you are tired, it's cold, it's dark, or you just don't feel like working out. If you can just think of the end result then you are tricking your brain to achieve those goals. Use positive thinking to remind yourself of how great you will feel after working out, or how great it will feel to achieve that scale weight (which is really not important), or how great it will feel to be able to do more pushups, or lift heavier weights, or run faster. Positive thinking, people - it works! Don't deprive yourself. Listen to your body because it will usually tell you what it needs. Sometimes your body speaks to quietly and your cravings get the best of you. Trust me, I am a big fan of cookies, and brownies, and Christmas beers, and mulled wine, and all things to do with the holidays, but indulging doesn't always have to be a bad thing. Trade that sugary, low nutrient cookie for a Balance Bar. There are so many different flavor combinations and they all follow a 40-30-30 nutrition principle. Now, if you have been around here for a while, you would know I love working with Balance Bar. They love to send you 'care' packages to enjoy and I love sharing some of my favorite products with you all. I like to keep my pantry full with the Cookie Dough and the Cookie Mint Crunch bars and we've made it possible to fill your pantry with these delicious bars too. Just enter the giveaway below. Click to tweet: Free indulgent Balance Bars - check out how to enter. How do you stay motivated during Fall and Winter? 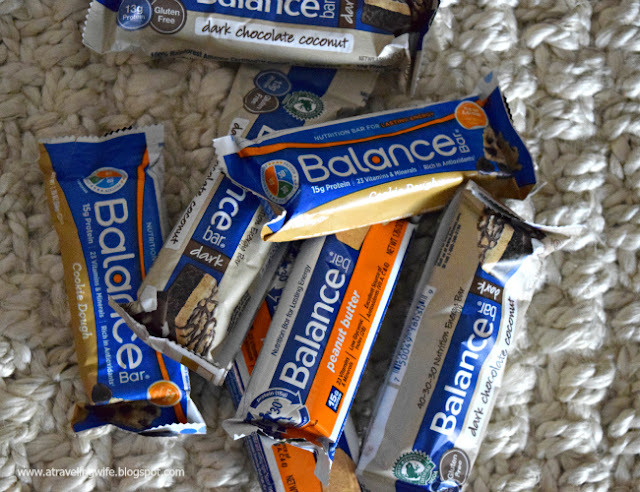 Have you ever tried Balance bars? Which is your favorite?